Every Crestliner boat delivers all-welded aluminum strength built to stand the test of time. Building Lasting Memories for over 70 years. For over seven decades, Crestliner has pushed the limits of possibility with every new model. Through each passing year our craftsmen have shaped more than the toughest all-welded aluminum hulls on the water—they’ve shaped your time on the water. Experience the strongest, most durable fishing boats on the water today, with the all-new model year 2018 lineup. FORGED WITH STRENGTH. 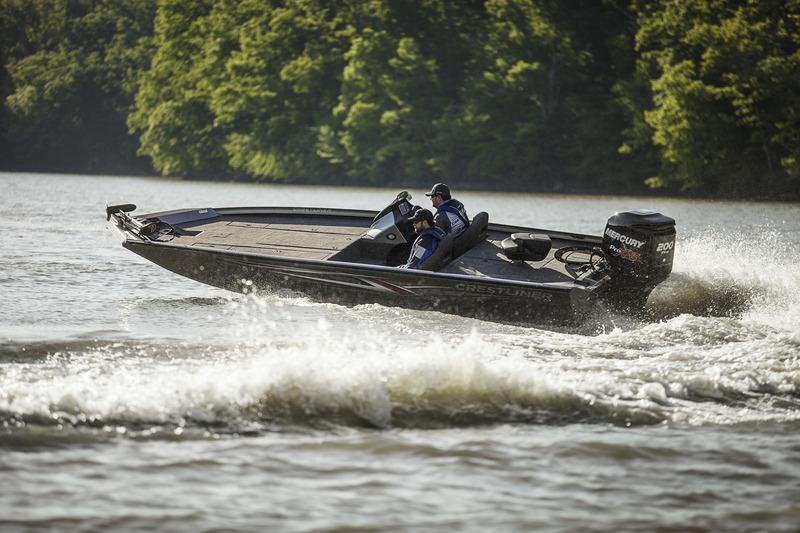 DEFINED BY DURABILITY – That’s our legacy–from the pioneers who developed our first boats to the anglers proud to own one today, Crestliner has built its reputation upon high-level performance and generations-long durability. Established during an era of post-WWII industrial expansion, Crestliner is rooted in the strong family values and hard working mentality of the Greatest Generation. Every Crestliner boat delivers all-welded aluminum strength built to stand the test of time. With a premium design steeped in fishing innovation, our boats have confidently inspired one generation after the next. Are you ready to launch your legacy?